Doesn’t it seem like dairy is in everything? From keto recipes to high-carb snacks and candy, there’s some kind of milk product in so many things that we eat. This isn’t a problem if you’re not allergic or intolerant to dairy at all, but what should you do if struggle with lactose or dairy proteins — especially when you are on a diet that typically consists of a lot of dairy like the ketogenic diet? Fortunately, there are a wide variety of dairy substitutions and dairy-free recipes that will allow you to live a dairy-free lifestyle, regardless of what diet you are on. Throughout this guide, we will be focusing on how to follow a dairy-free ketogenic diet — one of the best diet variations for losing weight without any of the issues that dairy can cause. Even if you don’t think dairy is a problem for you, you may still have some form of lactose intolerance or dairy protein allergy. In fact, you may be struggling to break down lactose (milk sugar) without realizing it. This is because, the majority of the human population — approximately 65 percent — has a reduced ability to digest lactose after infancy. More specifically, if you are of East Asian, West African, Arab, Jewish, Greek, and Italian descent, then you are highly likely to have some form of lactose intolerance. Conversely, the prevalence of lactose intolerance is lowest in people with ancestors who depended on unfermented milk products as a primary food source. For this reason, only about 5 percent of people of Northern European descent are lactose intolerant. In other words, if your ancestors didn’t drink a lot of milk, then you probably have some form of lactose intolerance. This happens because our bodies stop producing the lactase enzyme that helps break down lactose (milk sugar) after being weaned off of breastfeeding. Without the lactase enzyme, lactose is metabolized by gut bacteria, which can cause stomach upset, flatulence, diarrhea, bloating, nausea, and a host of familiar but unwelcome gastrointestinal symptoms. But don’t worry, this isn’t life threatening — it is just annoying and can make life difficult and unpleasant. If you find that you feel worse after eating a dairy-heavy meal, then you may have some degree of lactose intolerance. To verify if you actually do struggle with lactose, you can get a breath test or a blood glucose test after drinking a lactose-rich drink, but these are much more time intensive and cost more money. 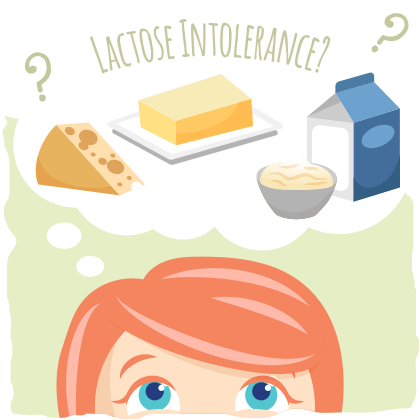 The simplest way to test for lactose intolerance is by mixing lactose powder with water and drinking it to see if digestive issues emerge. To do this, start with 25 grams of lactose first thing in the morning or 3 hours after your last meal. After drinking the lactose drink, pay attention to how you feel. If one or more of these symptoms occur after drinking the lactose-drink, then you have some degree of lactose intolerance. The severity of the symptoms is a good indicator as to how well your body can handle lactose-containing foods. Limit your dairy intake and eat mostly low-lactose dairy products like hard cheese and butter. Take a lactase enzyme supplement right before eating dairy-heavy meals. Eliminate all dairy from your diet by following the suggestions later in this article. The good news is that the ketogenic diet tends to be much lower in lactose than any other dairy-containing diet, so you may only get minor side effects with some keto meals. However, if your body is struggling with low-lactose dairy products like butter or cheddar cheese, then you may have a dairy allergy or an intolerance to dairy protein, not lactose intolerance. According to population-based studies, cow’s milk allergy is the most common food allergy in infants and young children. As many as 2 in every 100 children under 4 years old are allergic to milk. Fortunately, dairy allergies are less prevalent among adults and older kids. Dairy allergies commonly provoke immediate and unmistakable immune response. For example, you might get severely plugged sinuses, itchy skin, hives or rashes, diarrhea, nausea, vomiting, an elevated heart rate, and/or have difficulty breathing. Dairy protein intolerances, on the other hand, are a bit more confusing and nuanced. Some of the symptoms are similar to and milder than those of allergic reactions. For some people, it can manifest as constipation or diarrhea. For others, they will get joint pain or brain fog. Whatever the symptoms, they usually take longer to appear, making identification difficult. Plus, little scientific consensus exists on the nature of dairy protein intolerance. There are no universally accepted lab tests and few medical professionals will be able to help. To make this concept of dairy allergy and intolerance easier to understand, think of them both as being on the same spectrum. All the way to the left of the spectrum, you have someone who has no problem with dairy proteins at all — they can them all day and have no issues. As you move toward the right of the spectrum, you have an increasing level of intolerance that can cause mild intestinal discomfort to a minor allergic reaction, and all the way to the right side of the spectrum, you have someone who goes into anaphylaxis after a drop of milk hits their tongue. Where you fall on this spectrum depends on your genetics, your gut health, your diet, your lifestyle, and your upbringing. Thus, some people may move to the left or the right of the dairy intolerances and allergy spectrum throughout life or on any given day. In fact, some people may even be able to eliminate the dairy intolerance completely with the right diet and lifestyle choices. Should You Cut Dairy Out of Your Keto Diet? Whether you have some degree of lactose intolerance, dairy protein intolerance, or dairy allergy, it is up to you how much dairy you include in your diet. Obviously, if the consumption of lactose or dairy protein sends you into anaphylaxis or makes you feel absolutely dreadful, then you should convert to a dairy-free diet. But what if you aren’t sure? I’d suggest figuring out if dairy is truly an issue for you. Although there are a couple of allergy tests that test for dairy allergies, they tend to be inaccurate. A much more telling method is following a dairy elimination diet. In other words, you must eliminate all dairy from your diet for about a month. By doing so, you will have the opportunity to notice if you feel better without dairy, and if you feel worse when you introduce it back into your diet. By removing all dairy from your diet for around 30 days, you will give your body a break from any residual effects that dairy may be having on you. After going without dairy for this period of time, you will be ready start slowly reintroducing dairy back into your diet. Begin by introducing casein-rich, low-lactose and whey foods back into your diet. This means dairy products like cheddar cheese, parmesan cheese, swiss cheese, and casein protein powder. After one day of eating these foods, assess how you feel. Do you feel better, worse, or the same? Eliminate all dairy again for another 2-3 days, then introduce other dairy products like butter and heavy cream. These contain both casein and whey, so you’ll be testing if your body reacts negatively to whey protein (if it didn’t react to casein with the earlier test). Assess how you feel after you have both whey and casein back in your diet. Do you feel better, worse, or the same? Let another 2-3 days pass without dairy and test your lactose tolerance to other common keto foods. You can do this by having keto meals that contain half and half, heavy cream, sour cream, whole milk and/or cream cheese. How do you feel with this amount of lactose back in your diet? Better, worse, or the same? If you feel worse when adding any of the dairy products back in, then take them out of your diet again to see if you feel better once again without them. On the other hand, if you feel better with less lactose in your diet, then consider keeping butter and natural aged low-lactose cheeses like cheddar, parmesan, and swiss in your diet and eliminating heavy cream, half and half, sour cream, and other keto dairy products with higher lactose content. For those who fare poorly with low-lactose cheeses and most other dairy products, they will feel best when they remove all dairy from their diet. They should stick to eating dairy-free keto recipes and using the other dairy alternatives that we will go over later in the article. Think of this dairy elimination diet as a brief experiment — a way to get in tune with your body and what will make you feel at your best in every way. This approach will require a lot of trial and error, but it is worth it if you want to optimize your health and well being for the rest of your life. Many of us have some form of dairy intolerance, whether it is lactose intolerance, dairy protein intolerance, or a full blown milk allergy. Do a lactose tolerance test. Mix 25 grams of lactose powder in water and drink it. If you start getting the symptoms of lactose intolerance, then you probably struggle with digesting lactose-containing foods like heavy cream, half and half, sour cream, cream cheese, and whole milk. Eliminate all dairy from your diet for at least a month. Do you feel better without dairy in your diet? Perhaps, your body was struggling with the lactose or dairy proteins. After going dairy-free for a month, reintroduce dairy into your diet one dairy product at a time. Start with hard cheeses like parmesan and cheddar. If you notice any negative symptoms emerge, then you are most likely intolerant to casein. After 2-3 days of cutting out dairy again, reintroduce foods like butter and heavy cream. If you react to them, but not the hard cheeses, then you are probably intolerant to whey (this is very rare). Depending on how you feel after doing these tests and how much you like dairy, it is up to you what you do with this information. Eliminate it from your keto diet entirely. Reduce your dairy consumption to a point where you don’t notice negative effects. Take a lactase enzyme with your dairy-rich meal if you are only lactose intolerant. Limit yourself to specific forms of dairy that you don’t react to. At this point, however, you may be wondering if it is even possible to be on a dairy-free ketogenic diet. After all, most of the recipes call for butter, heavy cream, or some form of cheese. Yes, this is true, but it doesn’t mean that you won’t be able to eliminate all dairy from your diet. In fact, once you know what to avoid, what keto recipes to make, and what dairy alternatives you can use, you’ll be able to live a dairy-free lifestyle just as easily as it is to live a dairy-filled lifestyle. Ready to get started? Let’s begin by figuring out what ingredients and products to avoid. The first step to a dairy-free ketogenic diet is learning what products contain dairy or dairy derivatives that may provoke a negative reaction. Luncheon meat, hot dogs, and sausages that use the milk protein casein as a binder. Also, deli meat slicers are often used for both meat and cheese products, leading to dairy contamination. Some specialty products made with milk substitutes (e.g., soy, nut, or rice-based dairy alternatives) are manufactured on equipment shared with milk. Many restaurants put butter on grilled steaks to add extra flavor. Although not all of these products will contain lactose or milk proteins, it is important to be mindful of everything you are buying and eating. Make sure you read food labels carefully and ask questions if you’re ever unsure about an item’s ingredients. Keep in mind, however, that while you are on the ketogenic diet, you will not encounter many of the ingredients/foods on the two lists above. What Foods Can You Eat on The Dairy-Free Ketogenic Diet? Animal fats and plant-based oils. Avoid all fats that are derived from dairy and stick with plant-based oils like coconut oil, MCT oil, and olive oil and animal fats like lard, tallow, and duck fat. Red meat, poultry, and seafood. Try to stick with organic, pasture-raised, and 100% grass-fed meat and wild caught fish where possible. Low-carb vegetables. Stick with above ground vegetables, leaning toward leafy/green produce. Check out our low-carb vegetable guide to find out exactly what vegetables to eat on keto and how many carbs are in each one. Low-carb fruits. Although most fruits are not keto-friendly, there are a handful that make a great addition to the ketogenic diet. Some examples of keto-friendly fruits are avocados, berries, and some citrus fruits. 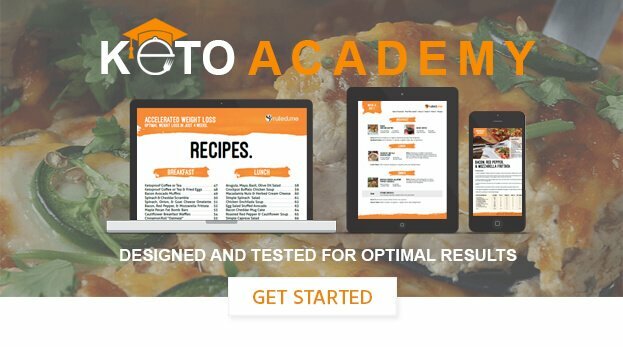 For a more detailed guide on what fruits you should and shouldn’t eat on keto, click here. Nuts and seeds. Eat nuts and seeds in moderation as some contain a decent amount of carbs. Try to use fattier nuts like macadamias, pecans, and almonds. The easiest way to cut dairy products out of your diet is by looking for dairy-free keto recipes and making a shopping list based on the ingredients. This way you will know for sure that you won’t end up buying any products that contain dairy, while simultaneously ensuring that you will have plenty of delicious keto-friendly food to eat. Once you get the hang of dairy-free shopping and cooking, feel free to experiment with different dairy substitutions to make your favorite dairy-heavy keto recipes into 100% dairy-free meals. But first, let’s get started with some simple and delicious dairy-free keto recipes. Not only are these waffles keto-friendly, but they are dairy-free as well! They’re crispy on the outside, and soft and fluffy on the inside, providing you with the perfect way to warm your morning up when the temperatures start dropping. Brownies for breakfast? why not? You can’t go wrong with brownie muffins as long as they are keto-friendly, and these breakfast muffins fit the bill with only ~4 grams of net carbs per serving. Go ahead — satisfy that chocolate craving first thing in the morning. A zucchini bread recipe without the excess carbs? You got that right! Plus, in my opinion, this keto version is better than the real thing. All you have to do is replace the sugar with erythritol and the wheat flour with almond flour, and you will end up with a delicious, keto-friendly zucchini bread. The great flavors of pumpkin spice come through to make a decadent, keto-friendly french toast. Feel free to top it with a bit of extra keto maple syrup for the finishing touch. It’s so good that this seasonal favorite might just become your go-to breakfast. This sesame tofu and eggplant recipe will make a wonderful vegan lunch or dinner. The eggplant is julienned then tossed with a spicy Asian style marinade before it’s cooked down into soft noodles. The tofu slices are crusted with sesame seeds then pan seared and caramelized with soy sauce to help bring all your favorite Asian flavors together. For being ready in just under 20 minutes, this dish packs some incredible flavors. The vegan “fish” sauce comes through and adds an authentic flavor to it that can’t be beaten. Perfect for dinner or lunch, this salad takes tofu to the next level. Don’t worry, you won’t miss the meat with this dish. If you are looking to spoil your taste buds with flavor, then this dairy-free keto recipe is exactly what you need to try. The cilantro, red curry paste, and peanut butter will keep your taste buds guessing each and every time you put a forkful of food in your mouth. Every low-carb pizza is typically packed with cheese from the toppings to the crust. However, this delicious keto pizza can easily be made dairy-free with a couple of adjustments. For the crust, you will be using coconut flour instead of parmesan cheese, and for the toppings, make sure you are using dairy-free mayonnaise and vegan cheddar cheese. With these simple substitutions, you’ll get all of your favorite pizza textures and flavors without any of the dairy. *Use coconut flour instead of parmesan cheese for the crust and dairy-free mayonnaise and vegan cheddar cheese for the toppings. Think of this dish as a keto version of fried noodles with chicken. The combination of curry powder, spring onion, soy sauce, oyster sauce, lime juice, garlic, and red chilies pack this meal with so much flavor that you will keep coming back for more. Calling all of the Thai curry lovers out there — this keto recipe is for you. With a thick and delicious keto curry that compliments the shrimp and broccoli wonderfully, this is a great way to fit more seafood and even more flavor into your ketogenic diet. This recipe is the keto-fied version of the classic dish found in many Chinese restaurants. It mimics all of the flavors that many of us love so much about Chinese food with only five grams of net carbs. In under 15 minutes, you can have a tender, crisp, broccoli slaw that’s warmed and dressed in classic Asian flavors. It’s so fast and easy, that this recipe is only three steps! Your entire family will be happy to see this on the table. *To make it 100% dairy-free, use coconut or nut milk yogurt instead of goat milk yogurt. Bacon and brussels sprouts are one of the tastiest (and simplest) culinary combinations that I’ve ever tried. Add garlic on top of that, and you get one of the most flavorful and healthiest dairy-free side dishes you could possibly make. *Use olive oil instead of butter to make it completely dairy-free. The beauty of this warm twist on an Italian classic is that it is much more filling, but with all of the traditional flavor. It also is packed with so much fiber that it will satisfy the need to eat a hearty portion as well. *Use vegan mozzarella from Miyoko’s Kitchen or Follow Your Heart instead of dairy-based mozzarella. This keto fried rice is like the real thing but without the excess carbs. It will go well with most of the lunch or dinner recipes in this article — especially the Thai Chicken Zoodles, Vegetarian Red Coconut Curry, Thai Peanut Shrimp Curry, and the Keto Crispy Sesame Beef. These keto-friendly and dairy-free dessert balls will satisfy your sugar cravings. Scratch that — you’ll forget all about sugar after you indulge in one of these. If you’d rather have the tangy sweetness of berries for dessert instead of something chocolatey and sweet, then you’ll love these berry bomb pops. The combination of raspberries, blueberries, coconut cream, and stevia make this a delicious and healthy keto sweet treat. Perfect for a hot day or a warm night in. When I was young, I was obsessed with milkshakes. There’s something about sipping a thick and creamy dessert that is so oddly satisfying. If you are anything like me, then you’ll love this dairy-free milkshake just as much as the sugar loaded, dairy-filled milkshakes that you had when you were younger. With the perfect combination of sweetness, coconut, and chocolate, these keto-friendly macaroons are the ideal dessert for coconut lovers. Even if you aren’t that much of a fan of coconut, you may still find these macaroons to be your new favorite dairy-free keto cookie. With this dairy-free ketogenic meal plan template, you’ll be able to map out what you need to get from the grocery store for a week’s worth of meals while guaranteeing that you won’t be consuming any dairy products at all. I also tried to put together the meal plan so that you only have to make each recipe once a week and eat the leftover servings a couple of days later. This way, you can save time and money while you implement the dairy-free ketogenic diet. Although I suggest how many servings you should eat, this doesn’t mean that they will meet your specific calorie and macronutrient needs. Make sure you use the calorie breakdowns on the meals to guide your decision of how much to eat. Your meals should be big enough to meet your calorie, protein, and fat needs for the day without needing any snacks or dessert. 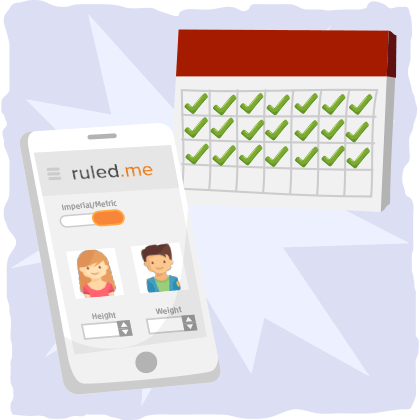 The simplest way to find out how much you need to eat to meet your goals is by using our keto calculator and tracking what you eat by using a calorie tracking app like MyFitnessPal (this article will show you how to use it when you are tracking calories for the ketogenic diet). However, no matter how diligent you are with tracking calories, you may still have some days where you struggle to meet your fat and protein goals. In these cases, use the desserts in this article to help add more fat or protein to your diet and satisfy your sweet tooth at the same time. If you’d like to get more creative and try something new, check out Ruled.me’s recipe page to find more dairy-free keto recipes and other keto recipes that you can make dairy-free with the simple substitutions that we will cover in the next section. 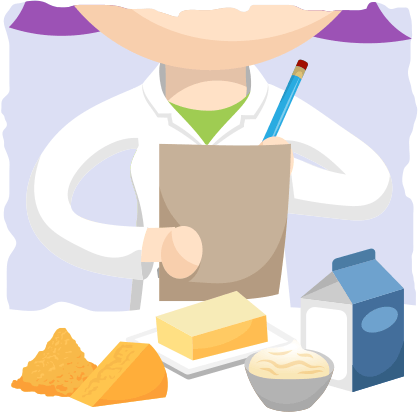 What do you do if you there are one or two dairy ingredients in your favorite keto recipe? Use a dairy alternative. Here are keto-friendly dairy alternatives for the most common dairy products that you will encounter on the ketogenic diet. Below the graphic, you’ll find more detailed explanations on each substitution. The most reliable whole milk alternative is coconut milk. In recipes, you can substitute coconut milk in for regular whole milk in a 1 to 1 ratio. However, make sure the coconut milk you are getting doesn’t have any added sugar or carbs. If the recipe calls for a lower fat milk, then use light coconut milk. Conversely, when the recipe calls for whole milk, use the richest coconut milk you can find (I prefer Aroy-d 100% Coconut Milk). Coconut Cream. You can either allow a can of full-fat coconut milk to settle (about 1/2 hour) and scoop the cream off the top or purchase coconut cream online or from the store. To substitute cream in recipes, use equal parts coconut cream for the dairy cream. This will work particularly well in sauces for seafood and poultry. High-Protein Soy Cream Alternative. Blend Silken Tofu until smooth. This pureed tofu can be substituted for heavy cream using a 1:1 ratio. It works as an excellent cream substitute when a thickener is needed in sauces and soups. Choose medium firm or firm varieties for a thicker “cream”. Milk + Oil Heavy Cream Replacement. Blend 2/3 cup of soy or rice milk with 1/3 cup of oil (extra light olive oil is best for cooking). This will replace 1 cup of heavy cream for your recipes. Keep in mind, however, that it will not whip. Using coconut creamer. Allow a can of full-fat coconut milk to settle in the fridge for about 1/2 hour and skim the cream off of the top or buy coconut cream. Blend one part coconut cream with one part unsweetened soy or nut milk to create the desired amount of half and half. Using silken tofu. Blend one part silken tofu with one part unsweetened or plain soy or nut milk to create the desired amount of half and half. Vegan Yogurt. Use a plain unflavored and unsweetened variety of dairy-free yogurt as a 1:1 sour cream substitute. Works best in dips and salad dressings. Soy Sour Cream. Blend up some firm Silken Tofu for a wonderful sour cream like consistency. Use as a 1:1 sour cream substitute for more savory dishes. Nut-based Sour Cream. For a delicious soy-free sour cream alternative, you can make your own sour cream using cashews or sunflower seeds as the base. Google search “cashew sour cream” to find a recipe that works for you. For frying, use coconut oil, olive oil, or ghee (a butter product that has all of the dairy proteins taken out). For a buttery spread (for keto breads or muffins), use coconut butter, nut butter, or seed butter. For baking, use coconut butter (or coconut manna), a vegan butter (that doesn’t contain hydrogenated oils), or ghee in the same way that you would use butter. You can also use olive oil for baking as well. If a recipe calls for 1/2 cup butter, try using 1/3 cup oil instead (this may require a bit of experimentation). There are plenty of dairy-free, vegan cheeses on the market right now that are made from soy, coconut, cashew, or other dairy-free ingredients. 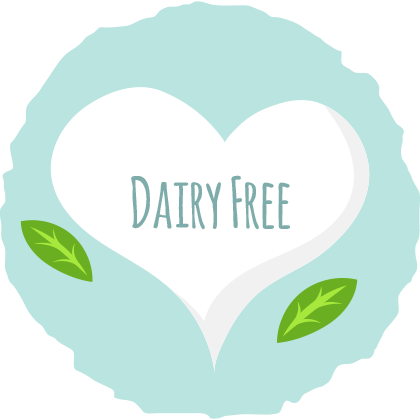 My personal favorite dairy-free cheese-making companies are Treeline and Miyoko’s Kitchen. Their cheeses are some of the best I’ve ever tasted. If Treeline or Miyoko’s Kitchen doesn’t have the cheese you are looking for, then try Follow Your Heart’s dairy-free cheeses. Follow Your Heart makes almost every type of dairy-free cheese you could ever want. My favorite dairy-free cream cheese is Treeline’s‘s cashew-based soft cheese. It is so delicious and savory and has almost the same texture as cream cheese. Other companies, like Follow Your Heart, make dairy-free cream cheeses as well. If you’d rather make dairy-free cream cheese on your own, there are many recipes you can follow (like this one). Another popular alternative to cheese is to use nutritional yeast to get a similar flavor profile. Sprinkle it over salads, mix into sauces, or use as a breading when frying. There are many dairy-free yogurts that you can choose from. At your local health food market, you will almost definitely be able to find plain soy, almond, cashew, or coconut milk yogurt. Just make sure it has no added sugars or hidden carbohydrates. The most common protein powders are whey and casein — both of which are derived from milk. If you have any form of milk allergy, then it is most likely due to one of these types of protein (usually casein). To eliminate dairy from your diet completely you must remove all whey and casein protein sources. Fortunately, there are so many different types of dairy-free protein powder that you will have no problem finding one. However, each protein powder has slightly different properties, so it is vitally important that you use the right powders for the right recipes. When replacing whey protein powder, use an equivalent amount of egg white protein powder or beef protein powder instead. When replacing casein protein powder, buy pea protein or brown rice protein powder and use it in a 1:1 substitution ratio. Although dairy is so widely loved, this doesn’t change the fact that most of us struggle to digest some of its compounds. Whether it is due to the fact that you are not able to break down significant amounts of lactose or because your immune system is reacting to dairy proteins, dairy might be impairing your well being in some way. If you suspect that your body struggles with dairy, then it is best to eliminate it from the diet for at least a month to see if you feel better without it. After you have been dairy-free, you will then slowly reintroduce dairy back into your diet and assess how you feel. If you feel worse, then it is probably best to limit your dairy intake or cut all dairy out of your diet completely. If you feel better or the same, on the other hand, then feel free to eat dairy as you please. Either way, you won’t be missing out on much by limiting your dairy intake. In fact, you won’t even notice that it is missing when you use dairy alternatives like vegan cheeses, nut-based yogurt, coconut cream, coconut oil, and olive oil. And this is only a sample of the many dairy-free keto recipes that you can try. To find more, feel free to look through our keto recipes page. Many of the recipes that you’ll see will have some form of dairy in them, but don’t let that discourage you from trying them. By using the keto-friendly dairy alternatives we spoke of earlier in this article, you will be able to make almost any dairy-heavy keto recipe into a delicious, dairy-free meal.